Welcome to Pro Skills, a new series where we talk with mountain bike pros to get their advice on a wide range of topics like functional fitness, cornering, recovery, jumping, or even taking better action photos and videos. We all look up to pro athletes and want to sweat, jump, send, or suffer like them, but first, we need to start by learning. In our inaugural story, we speak with Payson McElveen about the best practices for recovery. Singletracks readers have asked for recovery tips in comments and the forums in the past few months, and McElveen has some great advice for us on how to finish a long ride and get ready for the next one. McElveen is a Red Bull sponsored cross-country and endurance athlete with a B.S. in exercise science from Fort Lewis College. 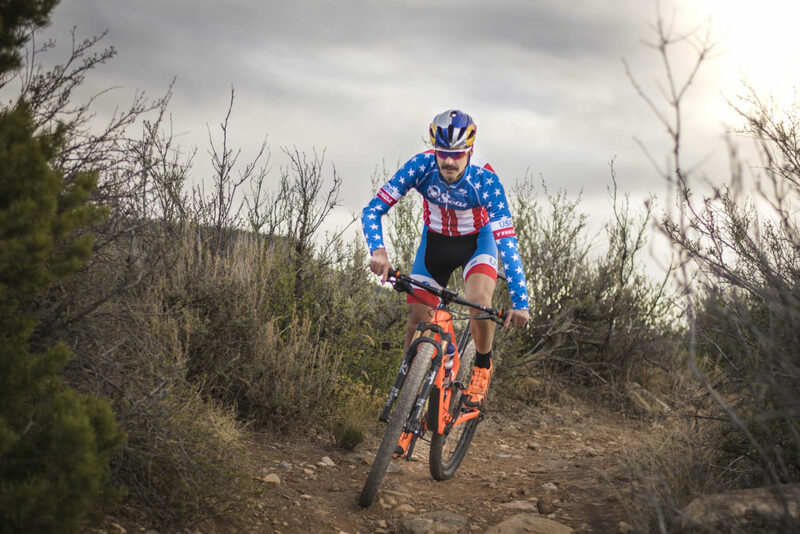 He, like many other notable cross-country athletes hails from Durango, Colorado and is a two-time USAC Marathon Mountain Bike National Champion, has taken 3rd in the Leadville 100, and races a full schedule of professional gravel, cross-country, and mountain bike marathon events throughout the season. He’s also planning to attempt to clock the fastest known time around the White Rim trail in Moab this year. First, let’s find out how McElveen stays motivated as a full-time athlete. As a full-time athlete, there must be points where you’re not excited to go ride. What motivates you to get out there? “Part of it is just habit. I’m a big believer in the saying ‘make your habits and your habits will make you.’ It’s gaining an appreciation for how every day does count. No matter what kind of ride it is, or how motivated or unmotivated I am, the single hardest part is just getting out the door. For me, usually, if I can just suit up and get out the door, the rest will take care of itself. “If I’m in a big training block and have some intervals to do, [and am really tired] I always just start the first interval. I’ll allow myself an out, and basically say, ‘if you start the first interval and still don’t feel good and if it just feels like the wrong thing for the day, then it is OK to call it quits, but just give it a try.’ Because so many times over the years, I’ve thought I was completely worthless on a certain day, and I got started and I had an amazing day on the bike. You just don’t know until you try. As a mountain bike athlete, what do you find yourself doing the most of every week that is bike-related, but isn’t riding? “When we’re not racing there’s a lot of bike maintenance stuff going on. And, especially this time of year, there’s a lot of bike washing. Riding this time of year is just nasty, it’s constant upkeep. “And, just general administrative stuff. E-mails, phone calls, interviews, social media, I talk to my team manager probably three to four times a week, communicating with my coach. And, there’s a lot of side projects [like filming and prepping for other events], the administrative stuff like this is constant. I may only train 20-30 hours a week, but I probably work 60-70 hours a week. Say you’ve just finished a long ride or race, what is your first move to kick start recovery? “First thing is getting a [Gu] recovery drink, sometimes my manager will be there and will have a hot or cold, wet towel, and then usually I’ll put the recovery bottle in my cage and go for a recovery cool down, between 10 and 20 minutes. And, this sort of goes for training too, I’ll get back to the house, get a recovery drink, and then go for a cool down spin. “Then, I’ll try to get some sort of food pretty quickly, something that’s easily digestible like rice and some sort of protein whether it’s chicken, or fish, or black beans. If it’s been a really big calorie burner, I’ll typically have a second, more balanced meal maybe an hour after. “All of the nuts and bolts are similar [depending on the schedule or day] so, basically, recovery drink, then real food, and some sort of muscular recovery process whether it’s an actual massage, or foam rolling, or elevated legs. What about the day after? What does your recovery day look like? “On a regular recovery day, the biggest thing is sleep. I’m not always the best at getting enough sleep. But, absolutely nothing can make up for sleep. On a true recovery day, at most, I’ll have an hour-and-a-half, easy spin. I’ll take a more relaxed mindset for the day period, like maybe enjoy coffee for longer in the morning, maybe take a little longer cooking breakfast. Sometimes, I’ll make it a point to do something really leisurely early in the day to set the tone, like reading a book for a few minutes first. 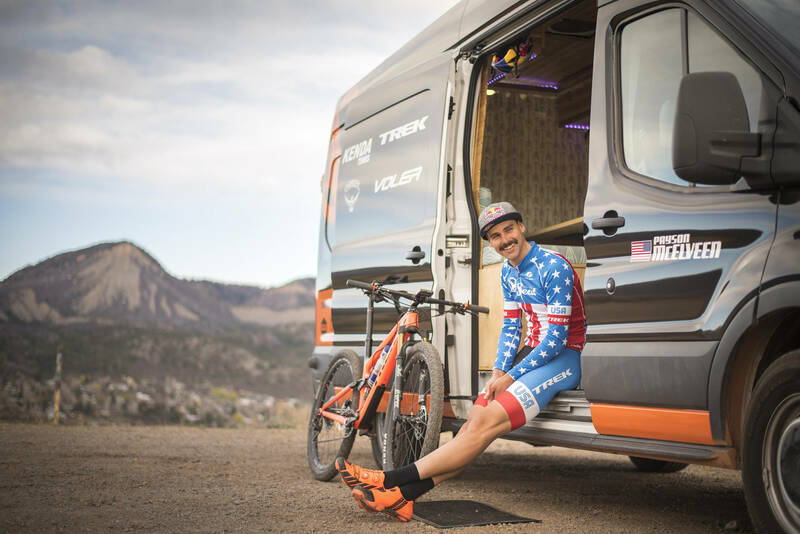 “The temptation can be there to take advantage of less training and work extra hard on the off-the-bike stuff, but the brain fatigues too, so it’s important to rest that as much as I can. What is the most important element of recovery for you, next to sleep? “Active recovery goes a long way. Like being really intentional about methods that help heal your muscles really. Diet is big, but foam rolling, easy spins… it sounds funny, but at a certain point when you reach a certain fitness level, you can not do enough on a recovery day and you just get stagnant. You have to rev the engine to a certain point and getting some blood flow is really important. What do you feel like a lot of people might get wrong on a recovery day? “The biggest thing I see with non-professionals is their hard days aren’t hard enough and their recovery days are too hard. Basically, their hard and easy days look too much alike. We go really, really easy on our easy days. So, I think that’s one of the things that a lot of people get wrong. My coach calls them “glass crank rides,” so pretending that our cranks are made of glass, and that if we push too hard on the pedals, we’ll break off a crank arm. 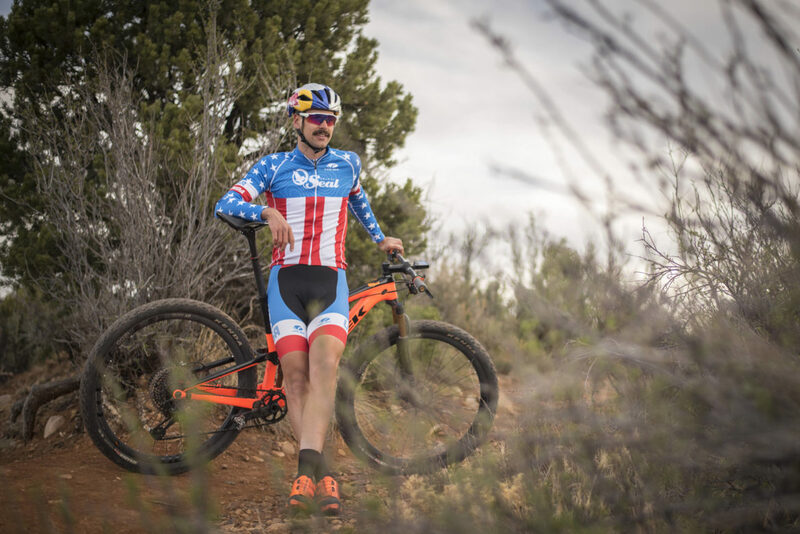 “Part of it too, is that riding bikes is just fun, and for a lot of people, they could care less about these training cycles and that’s totally fine. If you’re someone who’s not on a training plan and doesn’t have these racing goals and you get out and are planning on doing an easy day and feel good, then by all means, go for it. Not everyone wants their relationship with the bike to be as disciplined as it needs to be for someone where it’s their job. So, I don’t want to make it sound like I’m pushing that mindset on anybody, but if you’re chasing serious racing goals and on a training plan, being disciplined is as important on the recovery days as it is on the hard days. Say you don’t have much recovery time and you’re finishing a long ride one day and going into another long day of riding, like in a stage race. How do recovery efforts differ in that case? “Stage races are as much about who recovers better as who is fitter or pedaling better. The same rules apply, but they’re in more of a truncated timeline. “If it’s a stage race, I’ll try and get a nap in, or sometimes we have a massage therapist. Sometimes I’ll go for a really light spin to flush out the muscles. At the end of the day, active recovery is about blood flow, so I’ll combine recovery methods. So, if I’m getting a massage that evening, I’ll go for a 15-20 minute spin before, just so all the junk that’s built up in your muscles is more mobile. I don’t necessarily have a bunch of science to back that up, it just feels like the right thing to do. “The system I’ve developed is to get some blood flowing with a light, 15-20 minute spin, then hit your muscles with a Theragun, or a foam roller, and then stretch, and lastly, get those legs elevated to kind of flush the muscles. Doing things in that order has been helpful to me. Thanks to Payson McElveen for talking recovery with us. If you could ask one pro for advice on a certain topic, who and what would it be? Don't forget to switch our your Fantasy Crankworx team before the RockShox Rotorua Pump Track Challenge gets underway at 11:30pm PST.